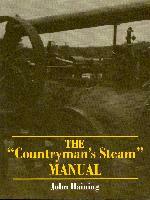 The author is an acknowledged expert on the history of steam engines in Great Britain. This practical book is written for fellow enthusiasts who pursue hobbies with these contraptions. The book arises from the author's popular articles in Model Engineer magazine.